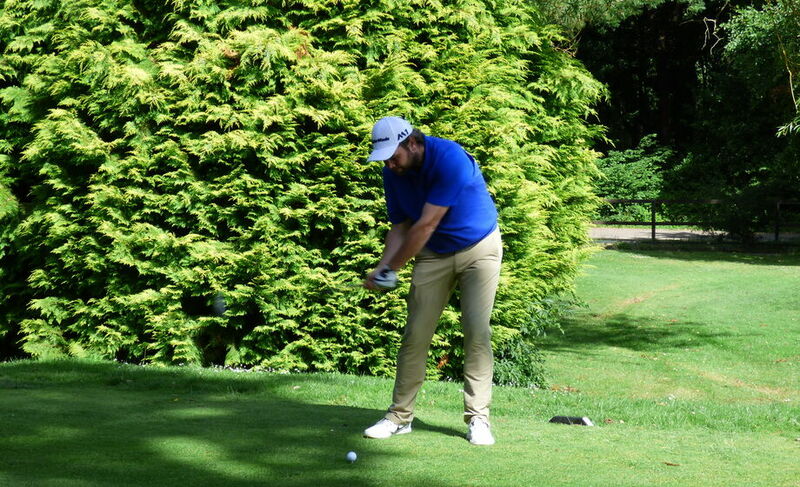 The third match of the Anglian League campaign took place at Rookery Park near Lowestoft, after what felt like a very long drive, the players practised Saturday afternoon and found the course to be a little slower than expected, particularly the greens, with a number of 90 degree dogleg holes to contend with also. Fielding what could be the strongest team in Northamptonshire history, the County Captain was in confident mood ahead of the match. Sunday morning came, promising a warm day with light breeze, perfect golfing conditions. 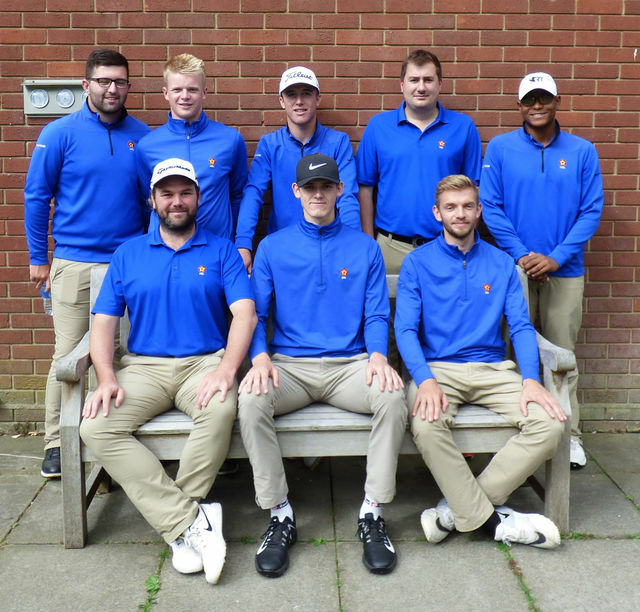 In the second group, Mikey Chambers (Overstone) and Fraser Carnihan (Cold Ashby) began building on their blossoming partnership, with excellent ball striking and a number of key holed putts, the Northants pair overcame the Suffolk captain and his partner on the 16th green. Jack Cardy (Suffolk captain) was extremely complimentary of Mikey and Fraser’s golf, particularly their work on the greens. Match three saw a new partnership for Northants, Miles Mudge (Staverton) and Lee Hitchcock (Kingsthorpe) would again provide some excellent ball striking, which over the course of their 16 holes was the main difference against their opponents. A 3& 2 win meant that we had so far won all 3 games. 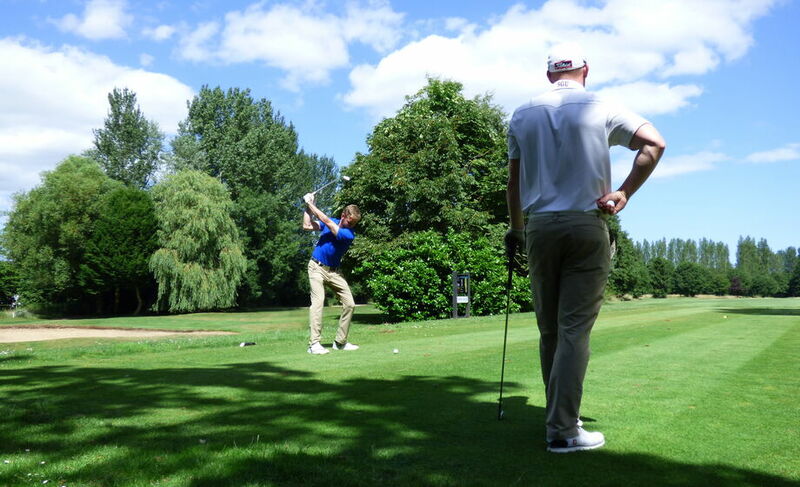 Match 4 saw Robin Williams (Peterborough Milton) and Tom Forster (Wellingborough) paired together – an exciting partnership! However, this match appeared to be a struggle from the start with neither player producing their best. 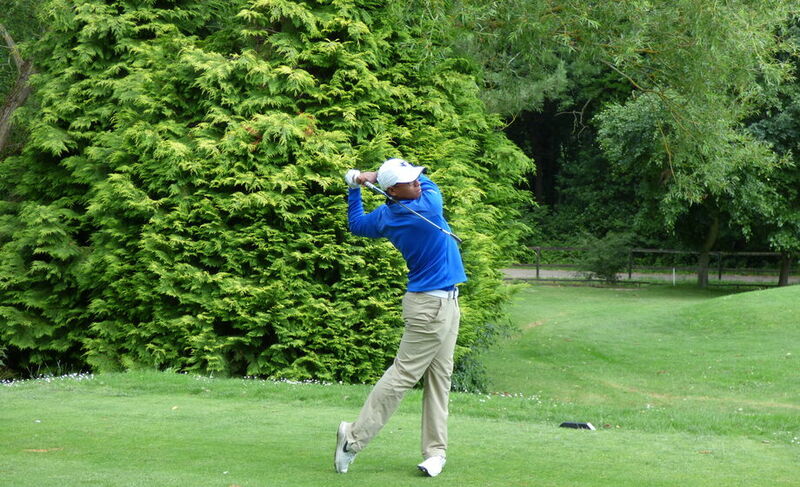 The match swung one way then the other on several occasions and after 14 holes it was not looking good for our lads. To their credit, they fought as hard as you would expect and despite a wayward drive on the 18th, produced a half for the team, which meant we would not be enjoying lunch over that delicate 3-1 lead. Only dropping half a point in foursomes is a great achievement and meant that we only required 3 singles victories to get over the line. But with the outside possibility of a league challenge at the end of the season, the County Captain reminded the players that every possible point would be beneficial. The way the league is looking, ‘goal difference’ could be crucial! The singles got underway and having managed to get his car fixed, Ben Jones led the team off. In his usual style Ben was full of confidence and despite not quite matching the quality of the morning golf, he got up early in the match and continued to press home his advantage. Pushing his opponent into mistakes, mixed with the odd, hole winning birdie. Shaking hands on the 13th green with a 6&5 victory, Ben had managed to play only 24 holes on the day and been on the golf course just over 4 hours! 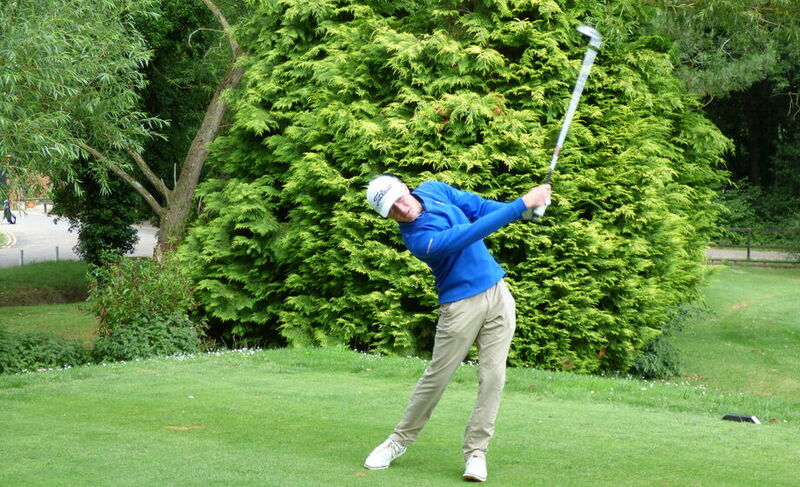 Out second was Callum Farr, whose opponent is a Rookery Park member. Despite this home knowledge, Callum’s played some outstanding golf. 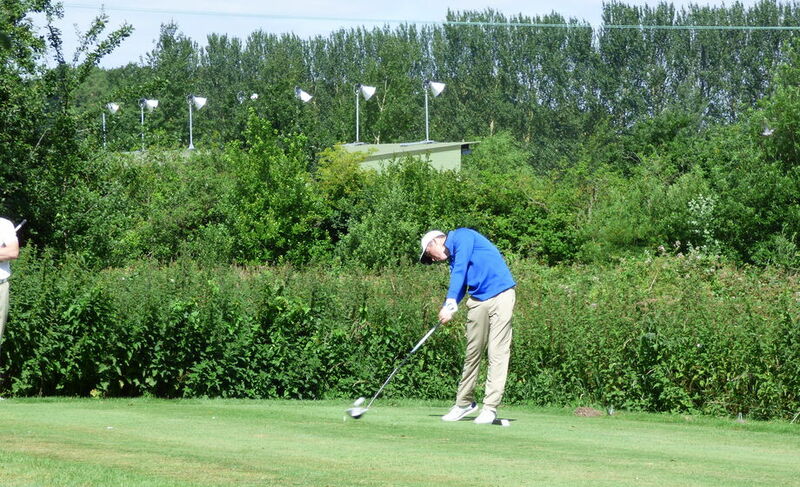 Callum won three of the first four holes, but that lead was narrowed during the course of the middle holes. Eventually, standing on the 18th tee, Callum led by one hole. His approach into the short par 5 18th came up short in the back of the bunker. An awkward bunker shot that hit the flag quite hard and sent the ball 10 feet away, just inside his opponent. After watching the Suffolk player hole his birdie putt, Callum calmly stroked the ball in, for an excellent one up victory. So we were just one more point from victory, with 6 games left put on the course. Mikey Chambers in match number three came up against Paul Waring. 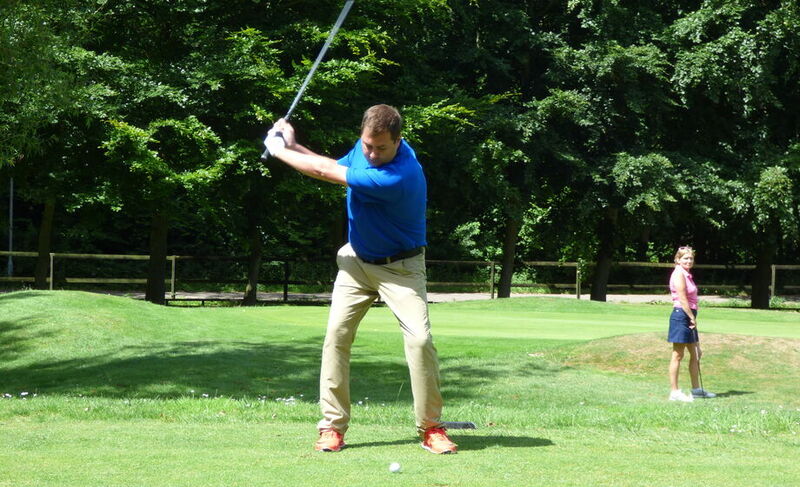 Paul who represents the England Deaf golf team, is a talented golfer. 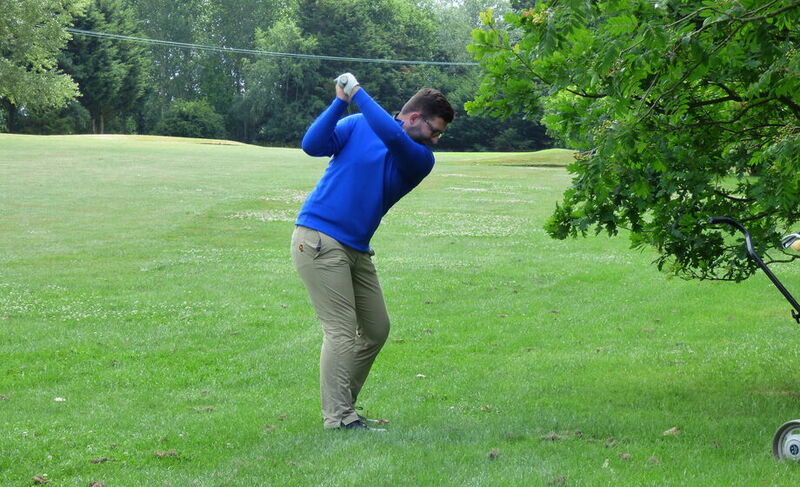 In a quiet afternoon for Mikey, the two players matched each other tee to green, with some excellent long game work. The difference in this match came down to the flat stick – on a number of occasions Paul holing putts from outside of Mikey and Mikey could just not get the putter working. 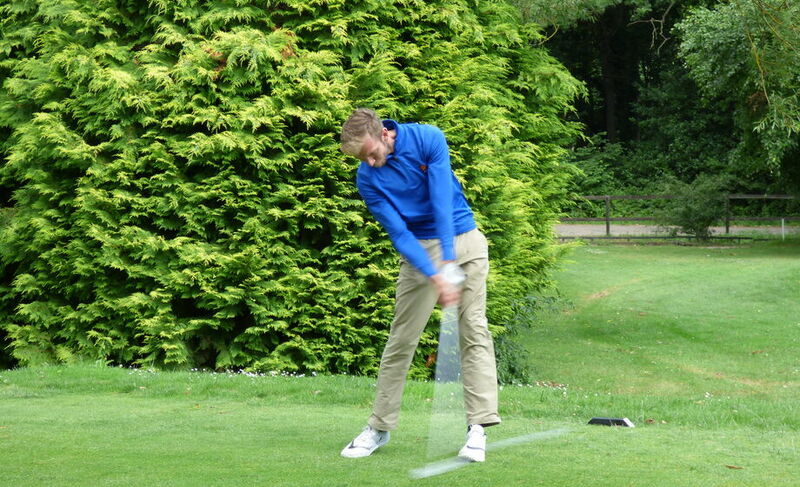 How often have we said these matches come down to putting….Mikey’s loss of 6&5 was harsh in numbers, but it is clear that Mikey is a very talented golfer and improving at quite a rate! At four was Lee Hitchcock, playing against Captain Jack Cardy. Both players having recently regained their Amateur status. This was a match that was bound to go to Suffolk from early on. Lee was down early, 3 after 5 holes and 5 down through 9. 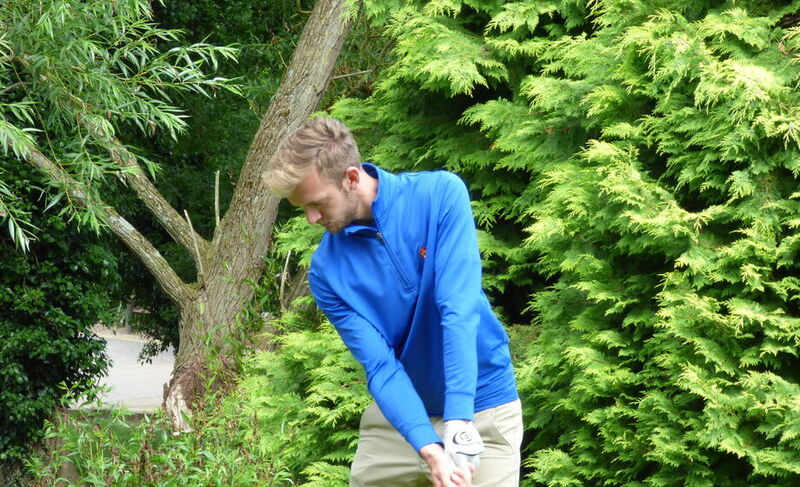 Lee’s errors compounded by Suffolk birdies. BUT, as we have so often said, until hands have been shaken, anything is possible. Still 5 down standing on the 13th tee, it wouldn’t be unreasonable to feel beaten. Far from it, Lee produced birdies at 13, a 2 on the par 3 14th, followed by a chip in for birdie on 15, to gain three holes back. When both players hit it left from the 16th tee, Lee’s bogey was enough to win that hole too. So now only 1 down, four winning holes in succession! After two solid shots into the 390 yard 17th, Lee rolled in another 8 foot putt to keep the match alive. Jack found the 18th green in two, with a 25 foot eagle putt left. Lee’s second shot came up short and left, leaving an awkward pitch over a bunker to a flag just 20 feet over it. Lee’s pitch was perfect and very nearly went in the hole – a certain 4, leaving a nervous wait to see if the eagle putt of his opponent would be holed. 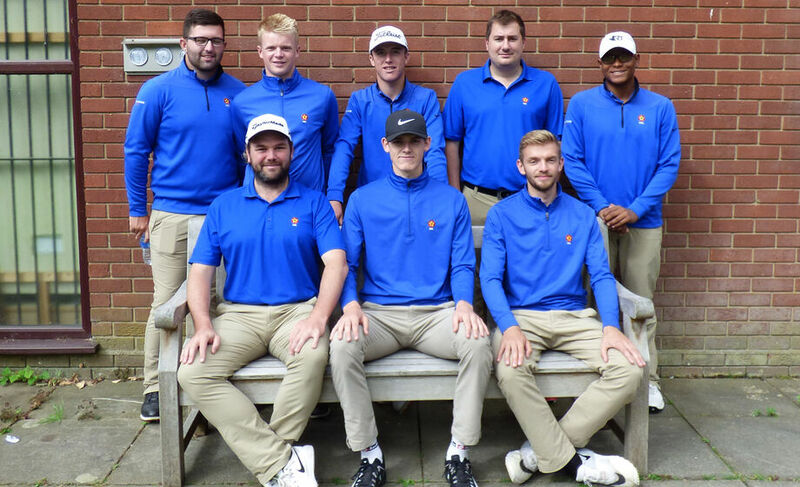 Fortunately for Lee the putt missed, giving Northants one of the hardest earned halves – a fantastic comeback and proves that you should never give up! Fifth for Northants was Fraser Carnihan. Having found his touch with the putter over the weekend, it was this club that kept Fraser in his match. Struggling for much of the afternoon from the tee, Fraser holed his ‘fair share’ for once. Always behind in his match, Fraser’s tenacity kept him in with a chance all the way. Standing on the 18th tee one down, his tee shot found trouble down the left, having found his ball and pitched out, he hit a fabulous 5 iron to 15 feet to give himself a chance. With his opponent unable to make a birdie four, Fraser’s putt was required for a half. For once on the day he was unable to hole out and ended the match one down. Fraser was obviously disappointed with how he played, but it has to be said his never give up attitude is to be admired and many of the team could learn much from this. Miles Mudge at 6 also had a tough afternoon battling his game. Normally so consistent, Miles could not give himself the chances required to stay ahead, having been 1 up through 5. Again despite struggling with his game, he remained in the match until finally falling on the 17th green. In a similar vain to Fraser, you know you can rely of Miles to give blood, sweat and tears to the cause. On this occasion however, one or two shots over the course of the round had cost Miles his chance at adding the teams tally. Robin Williams at 7 produced a wonderful display of ball striking and assured touch on and around the greens. When the captain caught up with his game, Robin had just lost the 9th to be 5 up!!! At 15 years old, Robin has an air of experience and calmness about him that defies his age. From the position at halfway, Robin knew that he didn’t need to extend himself or take on shots that could lead to costly lost holes. 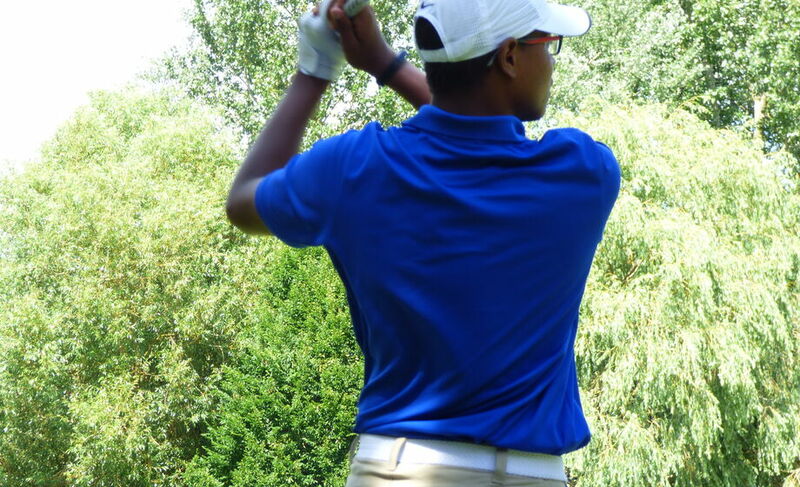 After a solid mid iron into the par 3 14th, his two putt from 20 feet led to the expected hand shake and at that point in the afternoon, the match winning point. Bringing the team home in 8th position Tom Forster was another player struggling and battling his game and the course. Everything looked hard work for Tom and frustrations could have got the better of him. Again, desire and will to not be beaten came in to play here and Tom got his game across the line on the 17th green, despite playing his ‘worst golf in two years’. The final tally on the day was an 8-4 victory for Northants. A victory made in the morning foursomes and finished off with a stumbling singles performance, despite winning the singles series. There was an air of disappointment about the team as we waited for dinner. But that proves to everyone, Captain, Team Manager and Coaches what high standards we keep these days. We also have an excellent team spirit and camaraderie, something that is a key element of any successful team. With the news that Norfolk beat Leicestershire, the league is incredibly tight with 4 counties on 4 points, with just 2 matches remaining. All you can ask at this stage is a chance at winning the league. Northamptonshire have won the Anglian League on only 2 occasions, last time in 2011. So the next game at Wellingborough versus Cambridgeshire now becomes our focus!